3 The help of Mr Phil Johnstone and editorial staff at Kluwer Academic Publishers in producing this book and the publication in the Journal is most gratefully acknowl- edged. 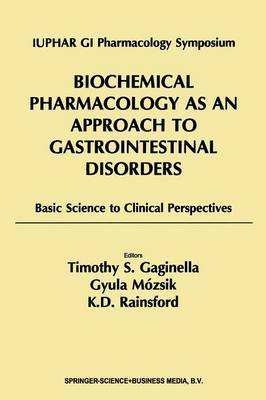 INFLAMMOPHARMACOLOGY Basic and clinical studies on Inflammation and its phannacologlcal control Aim. and Scope The joumal Innammopharmacology publishes papers on all aspects of inflammation and its phannacological control, emphasizing comparisons of (a) dillerent inflammatory states, and (b) the actions, therapeutic eflicacy and safety of dr\lgs employed in the treatment of inflammatory conditions. The comparative aspects of the types of inflammatory conditions include gastrointestinal disease (e. g. ulcerative colitis, Cmhn's dsease) i , parasitic diseases, toxicological manifestations of the effects of dr\lgs and envimnmental agents, and arthritic conditions. Inflammophannacology covers all the major aspects of the experimentally-induced clinical pathology, Its bkx:hemistry and cell biology, as well as the clinical and experimental phannacology and toxk:ology of therapeutic agents. The emphasis on comparative aspects of the actions of drugs Is intended to highlight their eflicacy and toxicity pmfiles as well as the variability In their clinical response and safety.